Why Dermal Fillers Are Getting So Popular Nowadays? Going against the spell of time is not possible, but that is exactly what we wish for when it comes to ageing. Against the force of time, we ardently hope to look ever-young and gorgeous all the time, even in our forties. But, the question is how to make this wish come true? Not to worry, after years of research in the field of aesthetic treatments, we have finally got an easy solution…one which does not require any surgery or pain. Guessed yet? Well, we are hinting about dermal fillers. Dermal fillers are one of the most popular non-surgical techniques to keep the face young. This procedure is increasingly demanded because it has significant benefits and because it works against dark circles, fine lines, wrinkles, folds, facial furrows and volume loss. Do you want to know more about the benefits of dermal fillers? Dermal fillers are injectable treatments with biocompatible solutions that can be injected into any area of the skin to increase volume. With this type of procedure, wrinkles and any crease of the skin resulting from the aging process are filled. Over time the skin loses elasticity and volume especially in the area of the cheeks and forehead. The result is a sagging skin with wrinkles, creases and in general a somewhat emaciated appearance. Thanks to the fillings you can restore the youthful appearance of the face. The fillers do not require any surgery, it is a procedure administered by an injectable without severe risks involved and if your skin is sensitive, liquid anaesthesia is fused along with the facial fillers. After anti-ageing treatment with dermal fillers, you can return to your normal routine without problem. Although there may be some bruising there will be no impediment for you to have a normal life immediately. In a sentence, no downtime is required after the treatment. Results are visible instantly. Although you will have to wait one week or two to see the full and final result, the truth is that you start noticing the improvement right away. Cheap dermal fillers in Melbourne are durable, but they do not give permanent results. This is actually blessing in disguise. How? If you are not happy with the outcome of the treatment, you can ask your physician to dissolve it right away or else you can just wait a little bit to let the facial fillers run its course. Fillers usually last up to 12 months to 18 months and by not requiring any type of recovery you can do it again when you need it. Substances used in dermal fillers help to improve the appearance of the skin since they stimulate the production of collagen leaving a much softer complexion. Cheap dermal fillers in Melbourne are prepared from compounds that are found naturally in the body, so they are biocompatible, and the chances of allergy or inflammation are reduced. Dermal fillers as an anti-aging treatment have very mild side effects and a very low-risk rate. When compared to all other surgical anti-aging options, dermal fillers prove to be a better and more reliable choice. Moreover, these cheap dermal fillers in Melbourne can be combined with other great variety of anti-wrinkle injectables and anti-ageing treatments to offer you a personalized treatment suiting you best. There are several types of injectable fillers and even different brands. 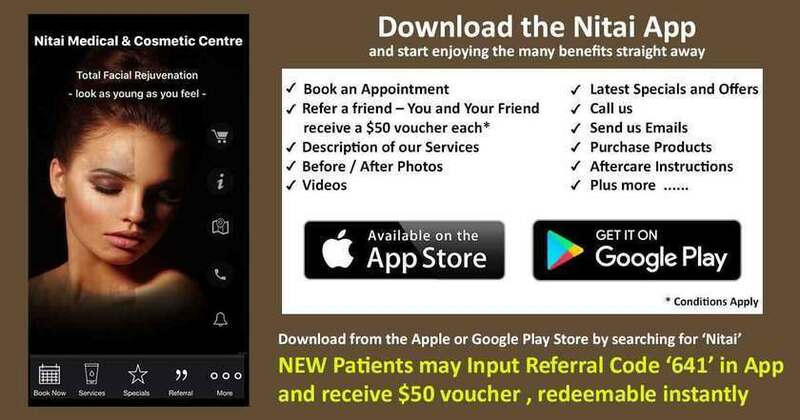 But, at Nitai Medical and Cosmetic Centre, we only recommend what meets your skin requirements after a thorough consultation. Visit us and experience the best of care and treatment to discover the best form of you. Previous Previous post: Let Us Dig Out All the Minor Details on Anti-wrinkle Injections!